I have to say I am already quite impressed with this band as they not only have their theme in place but their website is up and running AND includes sketches of their sections. 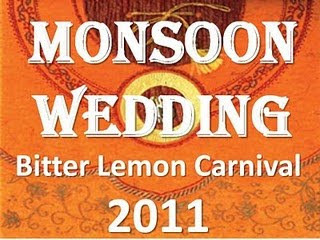 Their presentation for 2011 is entitled "Monsoon Wedding". 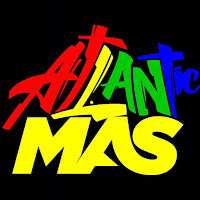 Bitter Lemon Carnival is a creative team is a creative team who have a passion for mas. We have been creating costumes for a variety of bands for over 30 years. Mostly with Wallace Alexander and Nip Davis and Associates. We have created winning costumes that have performed in Trinidad, Hong Kong, Detroit and more locations. We also provide costumes for special events, as well as decorative pieces that can be used for special dinners, cultural events and ceremonies. We can also custom-make a design for you. The our artcle from our recent installation at the ROM http://www.insidetoronto.com/what's on/article/851762--caribana-art-exhibit-on-now-at-the-rom. We have full costumes (averaging 18x25x16) ft in size. They are modular, so they can be adjusted to fit the space where they might be displayed.